The president/founder is John E. Morrell, PhD, REHS/RS, CHO. Working with him is a professional staff that includes registered sanitarians; certified health officers; food safety/HACCP specialists and instructors; aquatic biologists; DEP, EPA, and FDA certified laboratory analysts; commercially certified pesticide applicators; and a network of on-call outsourced experts. 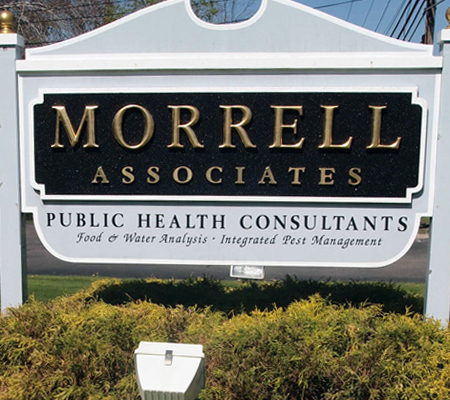 The firm's laboratory is FDA, DEP, and EPA approved for food and water microbiological analyses. Clients include national and international foodservice companies and franchises, national and international water suppliers, municipalities in Massachusetts, small businesses, as well as private individuals. Many clients have been long-term customers, some for over 25 years.